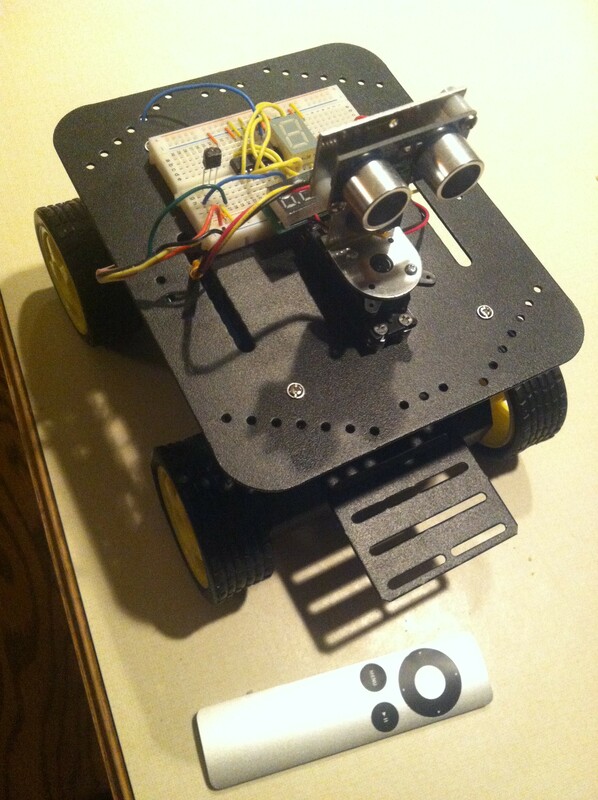 I’ve made some progress on the robot; I’ll provide details later. For now, here’s a video. 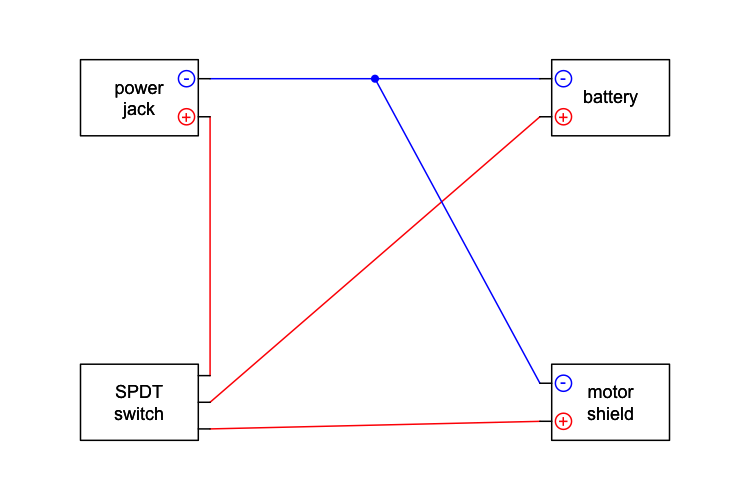 Here’s a brief run-down on some initial electronics projects. 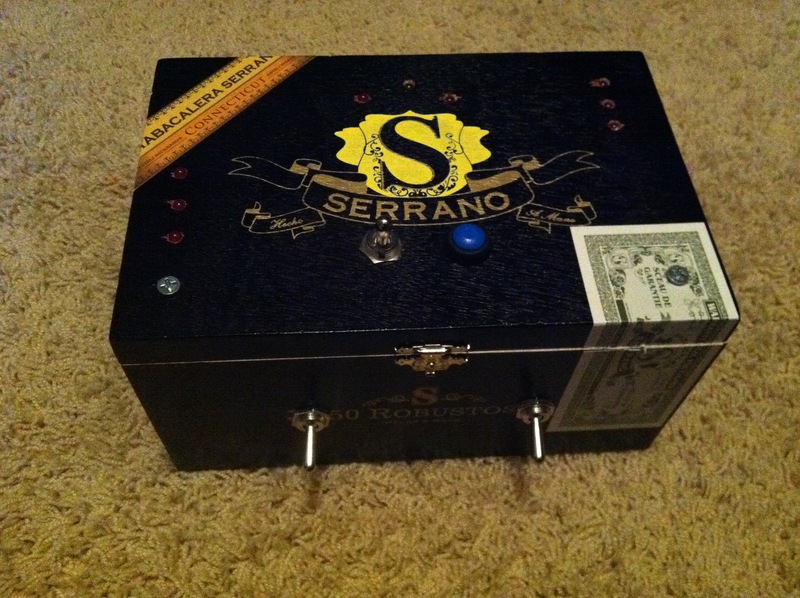 My first electronics project was from Chapter 2 of the book Snip, Burn, Solder, Shred: a cigar box with LEDs, switches, a pushbutton, and a buzzer. I should add a photo of the interior. It’s a mess of wires with considerable opportunity for short circuits. If I were to do it again, I’d cover the wire junctions and the leads to the LEDs and resistors with heat shrink tubing. 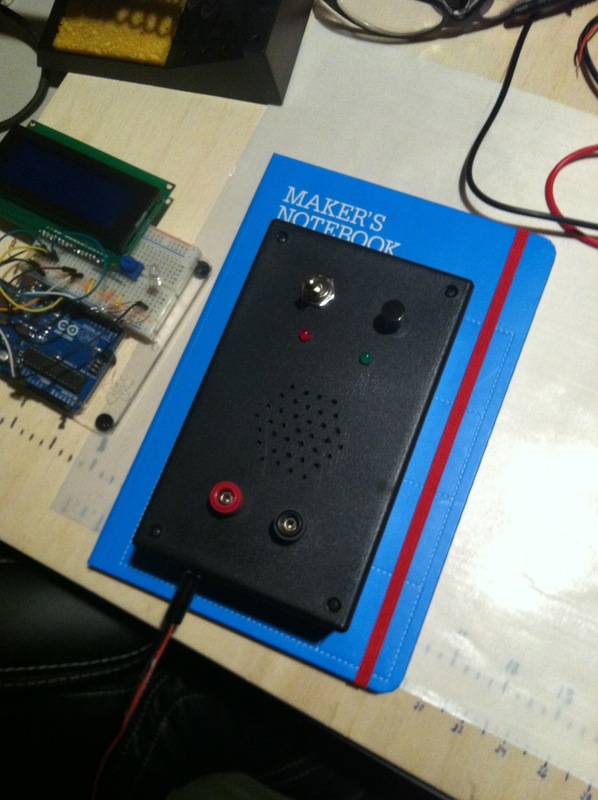 My first “fancy” project was the intrusion alarm from Make: Electronics (Experiment 11). 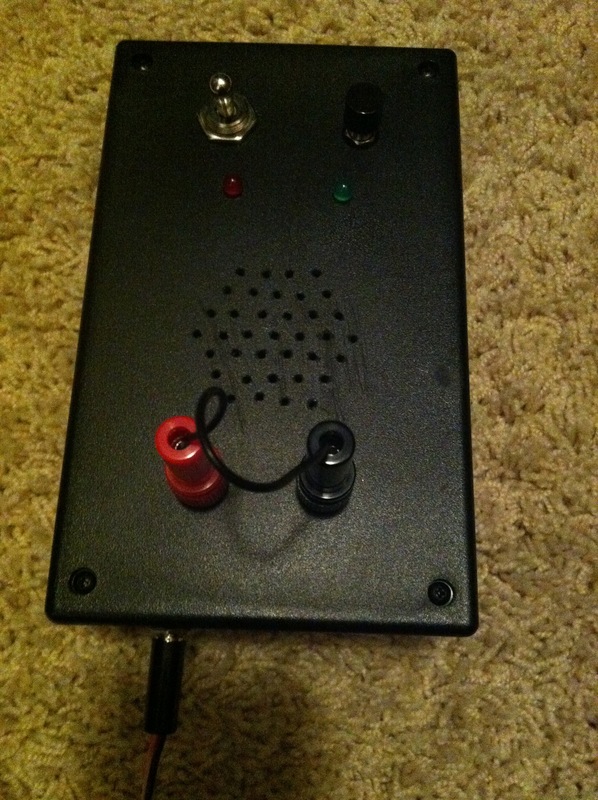 The red and black connectors on the front are to be attached to magnetic sensors on doors/windows, for detecting intruders. I should show the interior of this one, too. The layout of the speaker holes on the front were done in R.
It’s hard to be line up holes precisely using a hand drill. ABS plastic scratches easily. Note the scratches in the picture above, from my attempts to scrape off some burrs. The circuit that controls the siren sound doesn’t work properly. 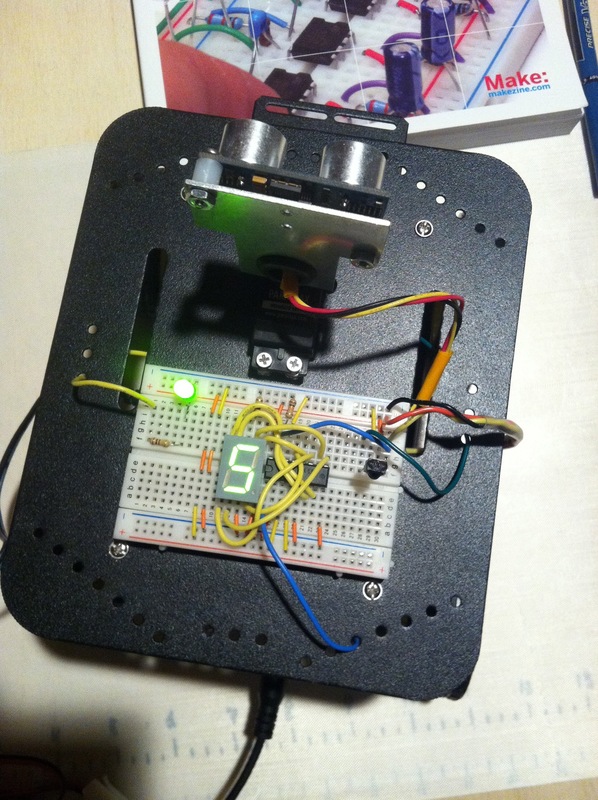 It worked on the breadboard. It worked initially after I’d soldered it onto perf board. But after I screwed the perf board to the inside of the box, it stopped working properly. I suspect that I screwed it in too tightly, but I don’t really understand what’s going wrong. It took a long time to complete the project, because I was waiting on the necessary DPDT on-(on) pushbutton (such buttons are hard to find). My Make: Electronics Components Pack 2 had two DC power jacks but no pushbutton. I contacted MakerShed, but they sent me an SPST pushbutton by mistake. I contacted them again, and I finally got the pushbutton. But they sent me a great notebook for my troubles. I love the notebook. 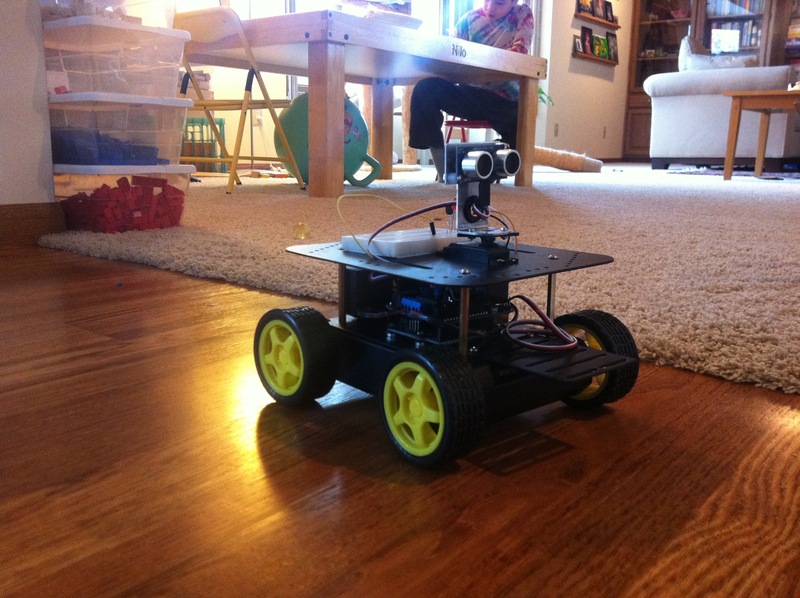 My latest project is to make an Arduino robot. I started with the DFRobot 4WD platform, an adafruit motor shield, and a Ping sensor and mounting bracket (from Parallax). I’ll say more later. Here are a couple of pictures, including one of the single-digit LED display (using two Arduino digital pins and a 4026 decade counter) that indicates the distance measure from the Ping (sonar) sensor. A new blog, to document (to some extent) my exploration of the arduino microcontroller and electronics more generally. I’ll be posting arduino-related code to my github page and listing them here.